The Courtyard Cafe Bar is ideally located at High Street almost opposite Sainsbury's! 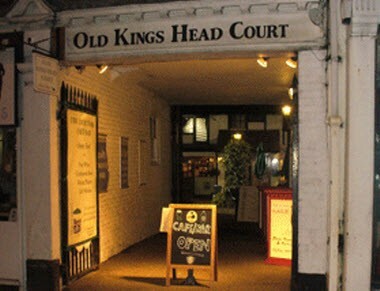 Look for the Old Kings Head Court entrance. The Cafe Bar together with exclusive use of the courtyard is a fantastic venue for any party or similar event. The premises can comfortably house 50 people inside and if necessary a marquee can be erected outside in the courtyard to increase the capacity to 80 or more.